Styled with caleb turtleneck . See this in Virgin Wool Blend. 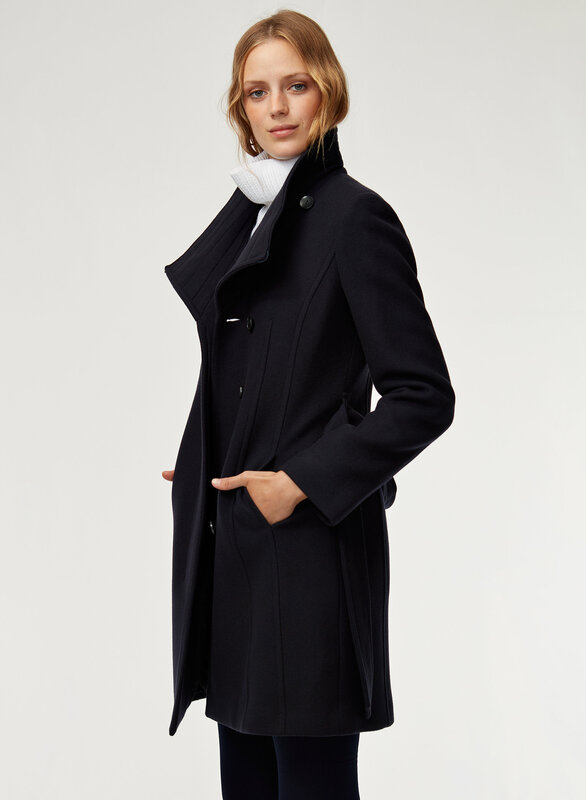 Babaton's signature peacoat is made with a warm wool-cashmere blend from one of Italy's finest mills. 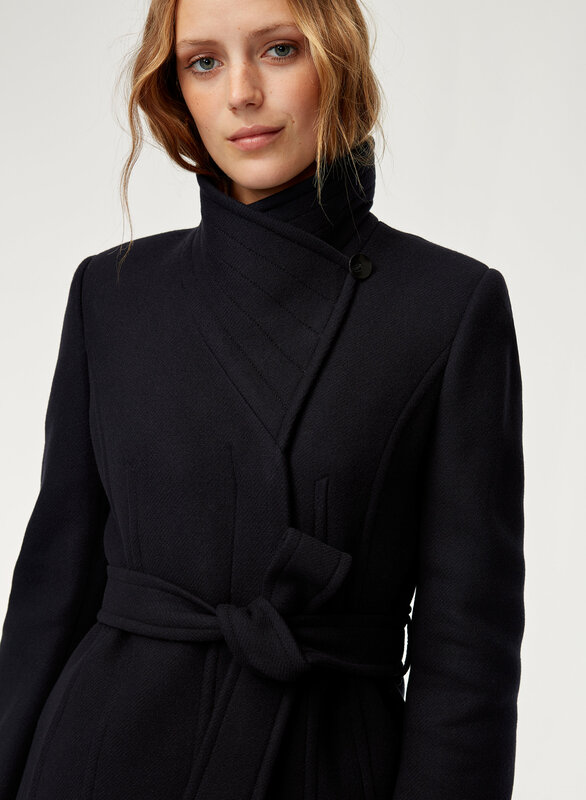 Contoured seams lend a structural feel, while precision tailoring creates a flattering silhouette. I love it. Can be worn dressy or casual. 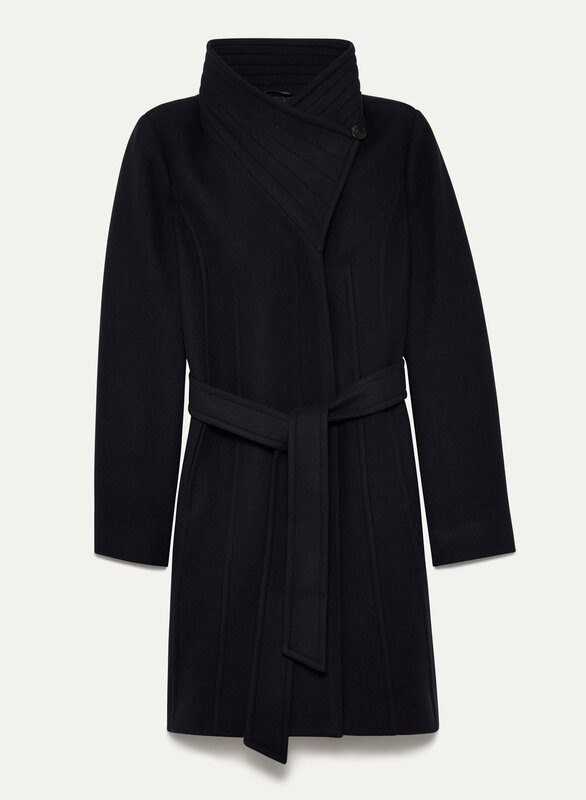 The coat is warm yet stylish. 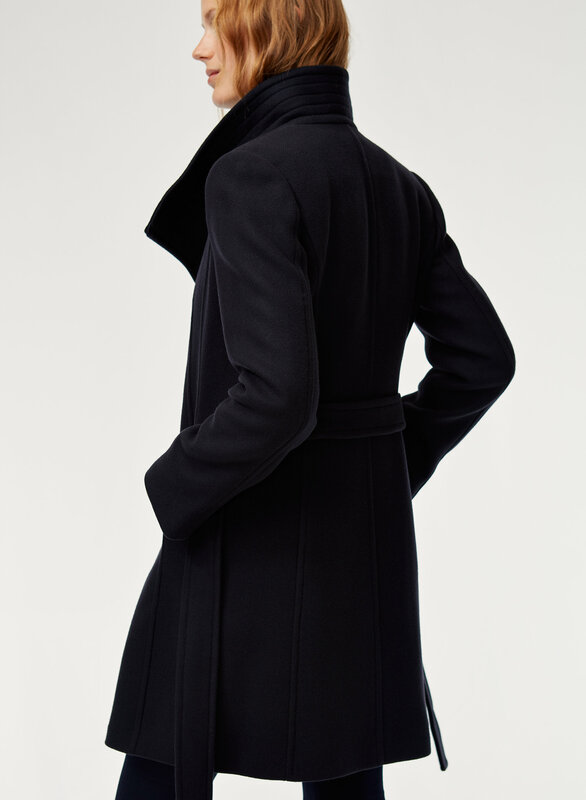 I would recommend this coat.